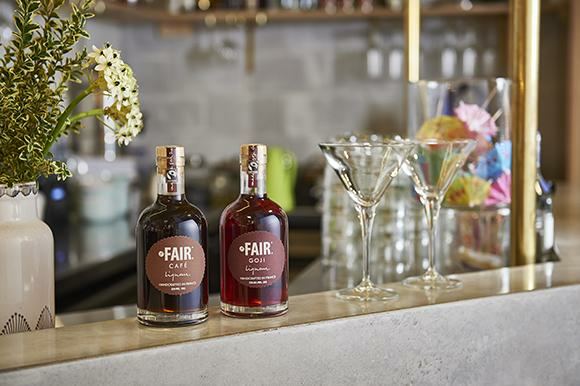 With the world’s first ethical Gin, Liqueur made from legendary goji berries from the unpolluted mountains of the Himalaya, and the first ever Vodka made from quinoa, there is no stopping the ethical force running through the veins of Grégoire Bertaud. Sick of being served and selling Rum filled with colorant, flavoured Vodka to hide their medicinal harsh taste, and all in all a spirits industry focused on limiting costs and maximising profits, Grégoire decided to found his own importing company to be part of a change in perception and attitude to what we put in our bodies and how it impacts our environment. Wine and spirits may not be the first industry people consider when worrying about organic, health and society, but just like any other product, we are too often met by brands and products that are not necessarily best for the people, the community or the environment. A young and innovative premium wine and spirits import company focusing on authenticity, quality and social impact, leading you towards a more ethical alcohol culture. Please share your background with us - What were you doing before starting your own spirits and wine importing business? When people ask me this question I always smile as I have nearly always been living around the wine and spirits industry… I grew up in Provence in the south of France surrounded by wine and spirits producers and my father worked in the perfume industry. I’m not sure if you know but perfume and spirits are very close in the way they are made. I have always had a passion for this industry, its history, its relation with the terroir and its implication in the ‘Art de Vivre’. All in all, I have worked in the spirits industry for nearly 15 years, across Europe (UK) and Australia. Tell us a little about the name ‘Noble’ and your vision for the business? When I moved to Australia seven years ago I was really impressed by the quality of the food, restaurants and the importance of the way of life in the Australian culture.I noticed that Australians were more and more concerned about using local, authentic and natural ingredients. However, these concerns were not being met when it came to alcoholic beverages.I set up Noble Spirits to import and distribute alcohol brands that messaged this motto of authenticity without compromising on quality - it was a way to combine my passion for good food and wine too! Why are Fairtrade spirits important? Fairtrade is a guarantee to consumers that products have been made in the most ethical way possible. It guarantees better wages to farmers and more authentic products to consumers. Fairtrade, organic, natural and local all have something in common: products that are real, more genuine and better for everyone - farmers, consumers, the community. 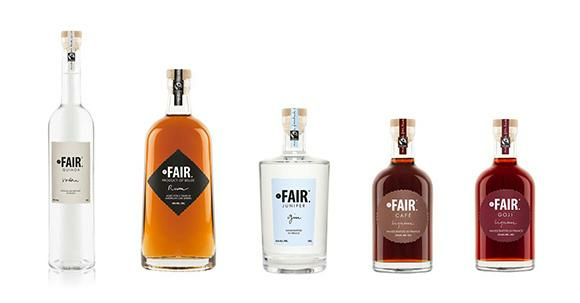 We’ve featured two of the Fair Spirits range in our gift selections - Coffee Liqueur and Goji liqueur. These are really unique flavours - can you share some tasting notes on these two products and what do you have them with? FAIR Café is probably one of my favourites out of the FAIR range. Every time I open a bottle, the scent reminds me of coffee sacks, a strong coffee flavour with a touch of toffee. On the palate it has notes of chocolate and hazelnut.It goes so well in an espresso martini but I would also suggest pouring it on top of vanilla ice cream or as an ingredient in a tiramisu - it’s amazing.I would describe the taste of FAIR Goji as a mix between lychee, pomegranate and cranberry with a hint of floral notes. On the palate I find cherries and plum and you will be surprised to find that it doesn’t contain much sugar.FAIR Goji goes well with sparkling wine. Take a wine glass, fill it with ice, pour 45ml of FAIR Goji, top up with a nice Prosecco, garnish with mint or lime - voila! We’ve just introduced the SASSY Cider range to our new gift selections for 2016. Tell us about the Sassy story and what makes this a truly unique product. 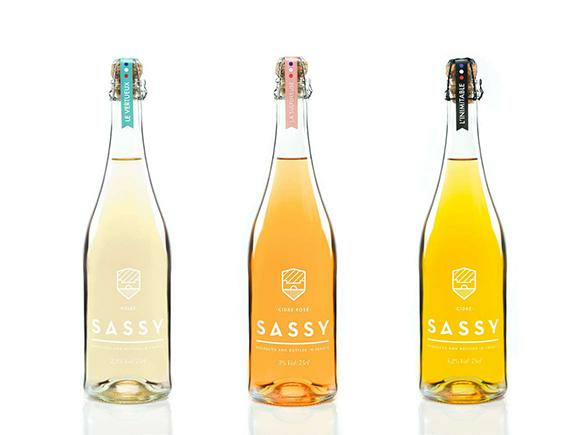 SASSY is the story of two young Frenchmen who decided to challenge the status quo and the traditional image of French ciders.SASSY ciders are made in Normandy in France using 100% apples and pears using the Champagne method. No additives or colouring is used during the making process. 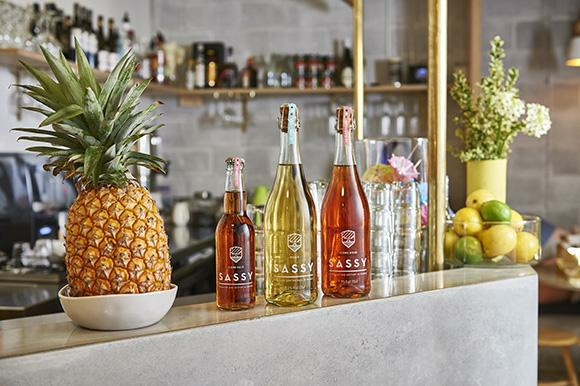 SASSY ciders have already been acknowledged for their quality and they closely partner with prestigious chefs such as Rebuchon, Ducasse or Bocuse to name but a few, and their brands are now growing very fast in Europe. We are very excited to bring them to life here. You have also just introduced a new range of Rosé wines to the Australian market and we have learnt from you that French Rosé is still the best! Why is it the best and what is so special about this particular vineyard? The region of Provence is actually the biggest and oldest rosé wine making region in the World. It dates from when the Greeks introduced the wines and vines to the south of France. Following which it was the Romans who settled in Provence (their Provincia Romana = Region of Rome).A Provence rosé is not a blend of white and red wine. Rosé wine is made using predominantly red grapes - mainly Grenache or Mourvedre. The beautiful pale pink colour comes from the skin of the grapes but unlike red wine makers, Provençal rosé wine producers leave the grapes skin in contact with the juice for only a short period of time. So rosé is a different wine making process and therefore a category in itself.A typical darker blushed rosé wine is totally the opposite and contains nearly seven times more sugar per litre than Provençal rosé.Chateau Les Mesclances is one of the oldest family-owned winemakers in the region. In fact it has been in the same family since the 16th Century. Their wine has received numerous awards for its quality such as the Macon Gold Medal at the Provence wine competition. The vineyard is actually built on top of Roman ruins which shows how old the winery is. You should try their cuvée Romane too which is simply fantastic, crisp and very versatile. Only recently did Sydney change their legislation to allow for small bars and the bar-scene has changed since then - do you see a difference in how Australians and the French enjoy and engage around a glass of wine? Australia and France have always enjoyed good food and drink. However, it is true that alcohol has had a bad image in Australia throughout history and more recently with unfortunate events. Many law makers in Australia are concerned about the misuse of alcohol and the violence that can come from it.They have introduced very strict laws that restrain the way the alcohol is served or purchased. I believe that it’s not the best way to tackle the misuse of alcohol consumption. Alcohol should not be seen as a taboo and its effect should actually be educated more that eradicated. Moderation and savouring the experience over quantity. In your story to put focus on the authenticity of an alcoholic drink and how it has a positive impact on the consumer. Why do you think there is an increased demand in Australia for spirits and wine with an authentic story at this moment? We live in a much smaller world than previous generations. 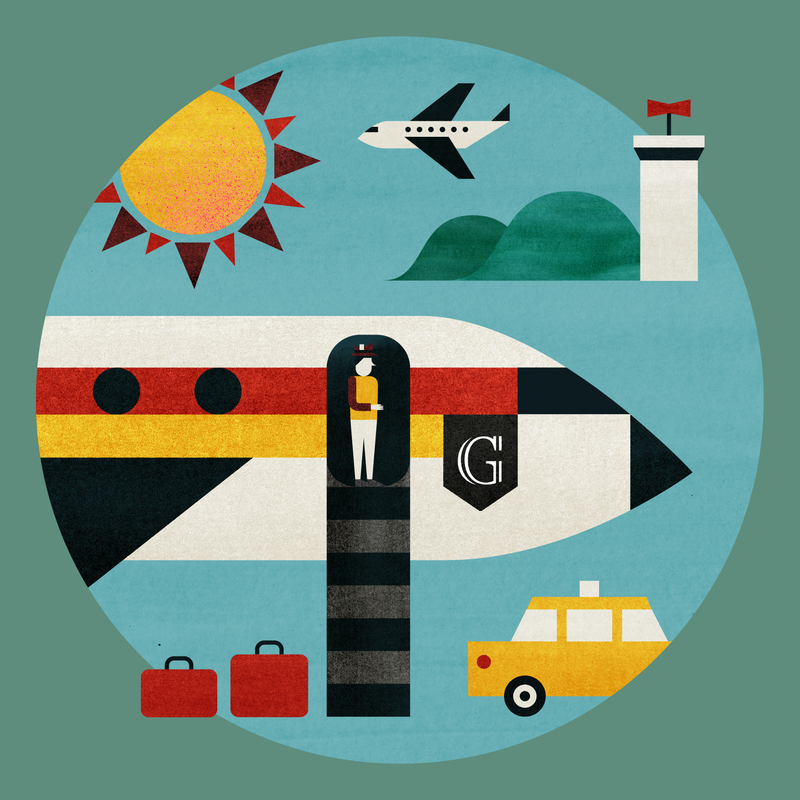 We have access to more information, we travel more and we are therefore much more aware of products and how they are made. Australians are fed up of seeing mass-produced products where nothing and no one is respected. There is clearly a need for more genuine products that would be better for them, their community and the producers. With your experience consulting and marketing to the wine and spirits industry would you consider launching your own range of bespoke products made here in Australia? Australia is blessed by numerous unique native plants, weather to support production and more and more talented people who create their own amazing products. It is very tempting and I’m thinking about creating my own brand. However I’m happy at the moment focusing on bringing the products of these existing talented people and change-makers directly to Australian consumers. The Hill Eatery or have you heard about the Nine in Bondi. It’s an amazing new bar and restaurant focused on sustainability and local ingredients. The Gin Mule cocktail using FAIR Gin, fresh lemon juice and ginger beer. That the only way to get around Sydney if you want to be able to park is by scooter! Noble Spirits runs regular Cocktail Masterclasses which take you on an interactive journey of the people involved in the process of creating Fairtrade and sustainable alcohol and also, very importantly, let you taste the product! Be sure to subscribe to our newsletter to stay up to date with all the latest Goods Tube news!